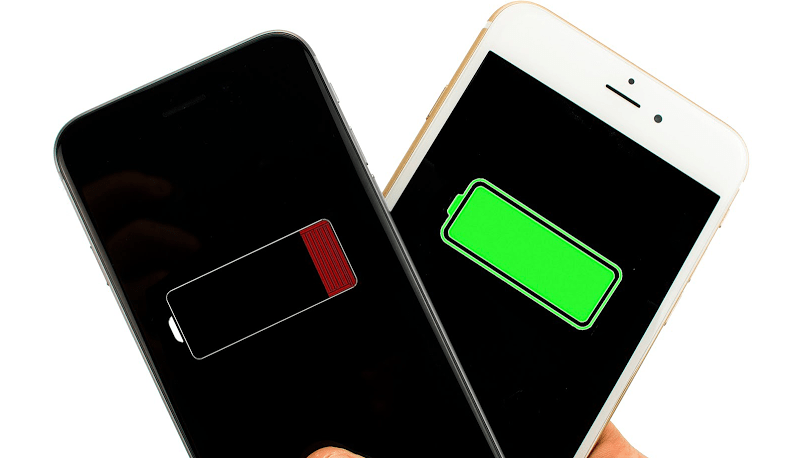 Almost every model of iPhone has enough battery power and can last about a whole day. However, if you mostly use your mobile and want some extra power, you need a power bank for your iPhone. 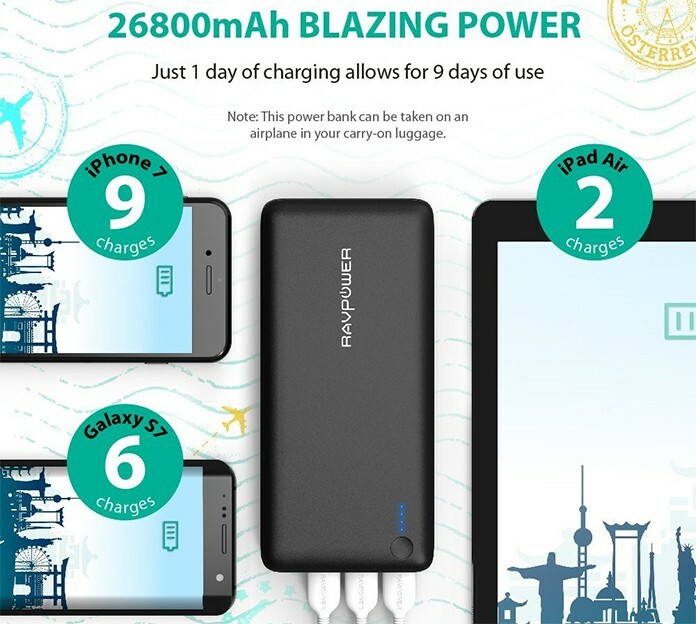 A power bank becomes necessary while you are traveling or you are going on holiday. You cannot handle the hassle of charging your phone while you are traveling or finding a new quick source to charge your phone. You cannot leave your mobile too because it is crucial. So, the best option is buying a power bank. Read which are the best power banks for iPhone and what is the best think about these portable chargers. The best thing about power bank is you can get enough power from them anywhere, and they are usually cost effective. Now if you are wondering about purchasing a power bank for your phone, check a list of the best power banks for iPhone and iPad. 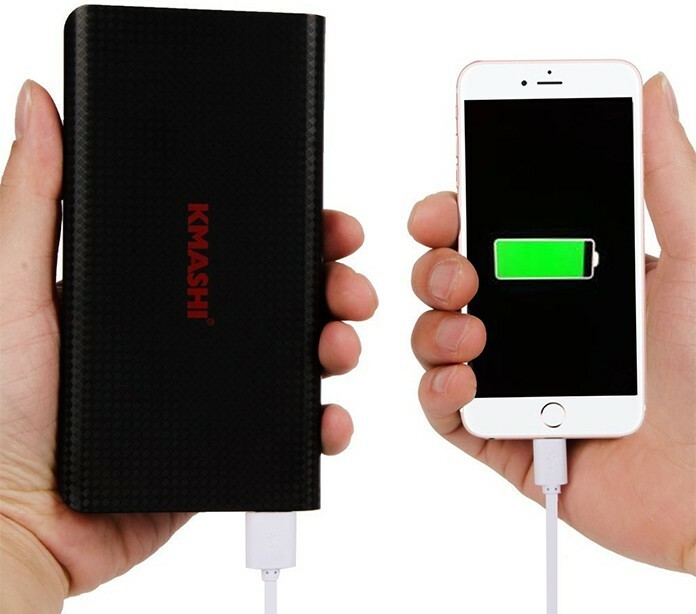 KMASHI power bank is one of the most used power banks worldwide. The reason is this is very cheap to buy, and you get amazing features. It provides 10000mAh of power that is enough to charge your phone up to 5 or 6 times fully. You can charge two mobiles at once as well. If you are looking for a huge power capacity power bank, you need RAVPower power bank. It comes with a super large capacity of 26800mAh. It has 3 USB charging slots which allow you to charge three times at a time. The power capacity gives you the power of charging your phone up to 10 times. Anker Astro E1 is also one of the mostly used portable charging banks. It’s very small, and it can be fit in your pocket as it has a size of only 4 inches. 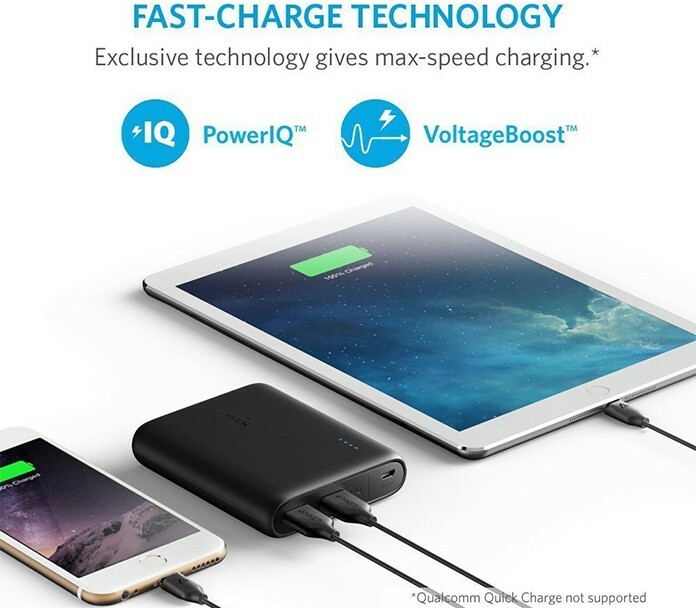 So if you are looking for a handy power bank, Anker Astro E1 power bank is best for you. 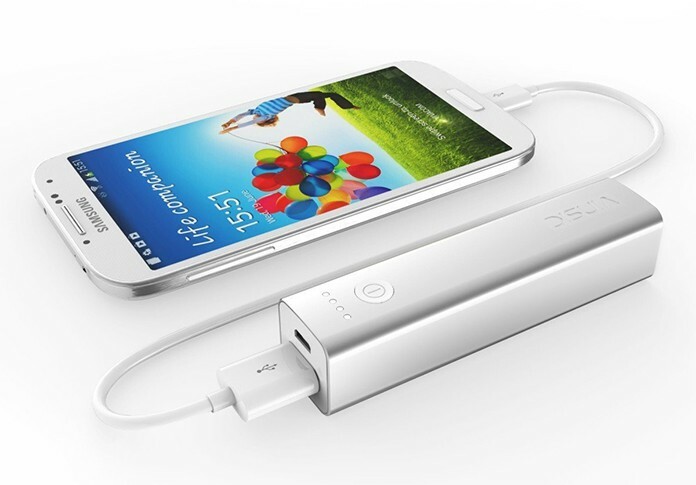 The Vinsic power bank is an amazing power source with a large capacity of 20000mAh. You can charge two devices at the same time using this power bank. The 3200mAh power capacity allows you to charge your phone up to 9 or 10 times which can allow you to work on your phone by almost a week. 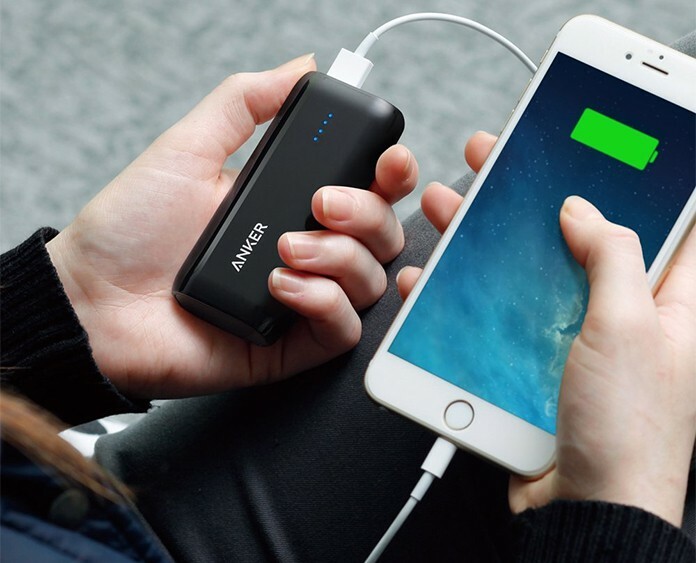 Anker PowerCore the next productive version of the Anker power banks for iPhone. It has a power capacity of 10400mAh. Its size is 5 inches which are the size of almost every phone nowadays. So you can fit this in your pocket or purse easily. It is also cheap and reliable. 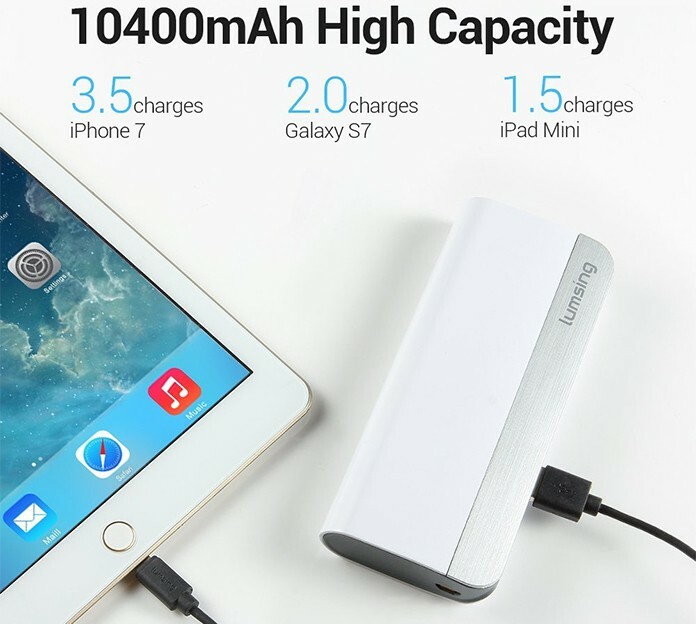 Another great power bank is here named Lumsing power bank which provides you the power capacity of 10400mAh. It can charge your phone up to 8 times. The best thing about this power bank is the small and the great look. It also has LED indicators that tell you about the power left. So, if you want to select the best power bank for your iPhone, compare all these models and choose the best one according to your needs.